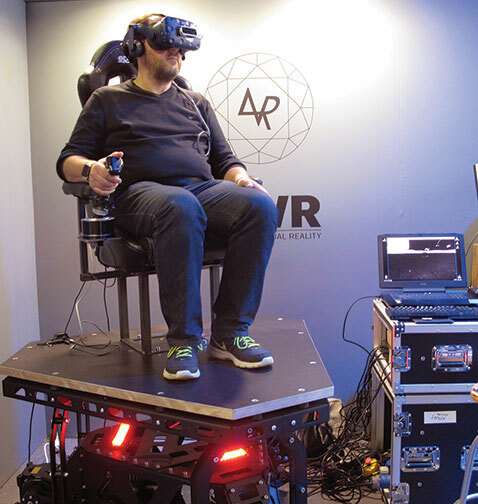 The World’s Fair of Imaging, photokina, has gotten a makeover—one that expands what it means to participate in the imaging industry. At the same stroke, the organizers cut down the number of days of the show as well as the number of exhibit halls one has to travel to find products, services and technological innovations, both real and imagined, that may well define the imaging world in the 21st century. This year’s fair layout would be familiar to anyone who’s attended photokina in the past. However, quite a few such veterans commented on the near halving of exhibit halls. Yet, major companies like Canon, Nikon, Sony, Panasonic and especially Fujifilm had major space. Moreover, smaller concerns were well accommodated in various themed areas within the halls. Overall, about 900 companies came to the show. They included the “regulars” and a contingent of start-ups that found themselves in what was billed as the Discovering sections of the exhibit. This area was promoted as a roadmap for the future. 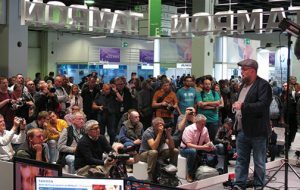 While sparsely attended, at least in comparison to the hordes that packed the more traditional photo areas, the focus on the augmented/virtual reality, 3D and artificial intelligence side of the business may become a mainstay part of photokina in the future. However, at this show with its heavy consumer orientation, it seemed a bit out of place. Also, a companion conference and set of exhibits, DIGILITY, had workshops and panels for those with great interest in these fields. This demo is one of many at DIGILITY that drew a small but dedicated crowd. Furthermore, the show’s major orientation was toward the enthusiast and pro photographer. Judging by the crowds, there are plenty of them in this part of the world. Showgoers came laden with gear and spent their time looking at new gear and packing the many workshops and pop-up tutorials that were part of community and company-sponsored events. Sessions were conducted in the Wedding Zone and Motion Zone, the former being self-evident while the latter was made to appeal to videographers (these days dubbed “content providers”). There was also a Professional Stage where photographers from around the world presented their images, techniques and business advice. These setups would be familiar to those who attend shows that cater to consumers and pros, such as WPPI and PhotoPlus Expo. But here the crowds were exponentially larger and the presentations were in the halls themselves, not in a separate space. Thus, the show was mainly a melding of trade and consumer (pro and amateur) activity. While dealer meetings and press indoctrination took place inside booths and behind closed doors, the clamor and pitches to the public took up much of the space and energy in the halls. Indeed, the organizers stated explicitly that their planning and events emphasized “product participation.” This meant stirring up excitement by providing image setups and scenarios and getting folks involved in not only products but also events that gave them something to photograph and to learn. There was a constant round of presentations from hall to hall, with company-affiliated photographers—the Ambassadors, Visionaries, Explorers, Knights Templar, whatever—working hard as they shared images and ideas. These were a bit of the old medicine shows we’ve seen at consumer/trade shows for years. However, at photokina there was much higher production values and considerably larger projection screens. Most of the crowd seemed quite enthused by it all as they moved from hall to hall with some vigor. Happily, there were no bull riding rigs or similar carnival events as in the recent past. Although, roaming picture ops, costumed folks and buskers did pop-up duty throughout the day. Long gone are the days solely dedicated to “trade.” In that sense, photokina is still a place to do business, but now it’s certainly more of an event than a trade show. The show was once an event where breaking news on forthcoming products and technology took place. But then came the Internet and the race by companies to preempt competitors by making preshow announcements, some as much as two to three weeks prior. Indeed, no show can coordinate with the disparate product introduction calendars of companies these days. In any case, a fair share of preshow announcements gave the impression the usual host of surprises unveiled at photokina would be few. Happily, this was not the case. Indeed, I learned from PR people who did hold back that when they saw the Nikon, Canon and other announcements coming so soon, they figured rather than get lost in the flock they’d wait till the show to get more bang for their buck. Among the press corps, where week-old news is old news, this worked. The main news announced at the show revolved around full-frame cameras; a “super-format” entry; and the formation of a coalition of camera and lens makers to offer a standard mount for a diverse range of cameras, from APS-C to full framers. 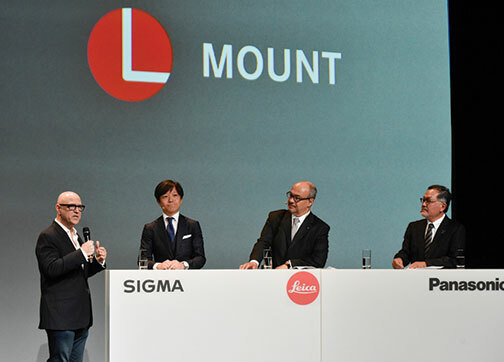 Dubbed the L Mount Alliance, Leica, Panasonic and Sigma joined to develop a standard Leica L bayonet mount that promises compact size and weather-resistant stainless steel construction. In addition, it will fit any number of cameras from different makers. As to those cameras that will first utilize this standardized lens mount, Sigma announced a full-frame Foveon model is in the works; Panasonic’s new S1 and S1R full-frame mirrorless cameras (24 and 47MP, respectively) are soon to arrive; and a new 64 megapixel Leica S3 will also arrive soon (of course their past S-model cameras will take the new mount as well). As to that super-format entry, Fujifilm showed off their GFX 50R. A 100MP model is said to be in the works. In addition, booth visitors got a first hands-on look at many of those “early bird” products, some on counters but quite a few sat, intriguingly, under glass. DIR’s recent and current issues have a fair share of these announcements, so I will be brief in that regard and just mention what, to me, were highlights that pointed to future developments that bear watching. While the traditional camera companies once eschewed mirrorless, and later launched their own “small sensor” options to test the waters, photokina revealed a new chapter in the mirrorless/DSLR horse race. It perhaps foretold the fate of DSLRs in the (distant) future. Stats prove mirrorless continues to eat into the prior dominance of DSLRs, and this show proved the point. Nikon and Canon’s FFM offerings are clearly aimed at pros and flush enthusiasts, as well as at taking back market share grabbed by Sony. It will be interesting to see how long it takes independent lens makers to jump on the Nikon and Canon FFM mount bandwagon (or if they will). That is always a clear sign of the fate of any format and model. The “L” group significantly includes Sigma, so we will watch to see how they approach this seeming conundrum. There also was debate among the gathered wags about Canon versus Nikon FFM models. Some believe the coming year will be a battle of the lenses (and mounts), what with more companies offering E-mount lenses and even Sony announcing a whole raft of lenses in 2019. Let the rumble begin. With this emphasis on FFMs, what of the “smaller” sensor mirrorless/DSLR classes? Will the FFM wave wash over the smaller sensor bow? Will the price/value equation outweigh the temptations of the larger sensor mirrorless offerings? This was cause for much musing. Also, there’s the “standard” (amateur/enthusiast) DSLR conundrum, especially in the APS-C class. While it may be premature to announce the death of that DSLR format—and certainly not DSLR lenses for the huge installed user base—the dearth of DSLR announcements at and prior to photokina, save for the affordable Nikon D3500, was stunning. Oh how soon we forget. What of compacts and integral-lens cameras, especially bridge cameras? While compacts and “pocket zoom” cameras have taken a big hit, bridge cameras retain a strong appeal. This is attributed to their relatively compact size and rather incredible focal length range, making them a great choice for travelers and amateur nature photographers. The remarkable Sony Cyber-shot RX100 VI has been available for awhile. But almost every company has stayed the bridge course with new or current models, including Canon, Nikon and Panasonic. Nikon cleverly dubs their new Coolpix P1000 as “the camera that thinks it’s a telescope,” with a “native” range of 24–3000mm (!). And right before the doors of photokina opened, Canon announced their PowerShot SX70, not to be confused with the classic Polaroid, with a 21–1365mm lens and CR3 RAW (smaller file sizes than the CR2). For a more modest integral lens range, one model that has particular appeal to me as a traveling companion is the new Panasonic LX100 II. This MFT sensor camera boasts a DC Vario-Summilux (equivalent) 24–75mm f/1.7–2.8 lens. Moreover, Ricoh announced that their new-gen GR-series camera, the GR III, is imminent. This stirred excitement among those who rate this camera highly as their “street photography” companion. In addition, I noted a very large section of the Fujifilm booth was dedicated to their Instax line. This indicates a growing market for instant cameras that is gaining currency among millennials as trendy objects of desire. 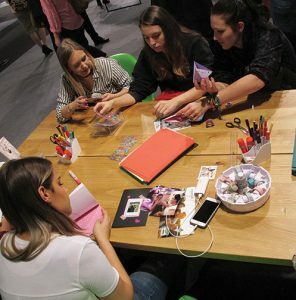 There also were large scrapbooking and arts-and-crafts areas in the booth for those wishing to try their hand. Last but not least, the Fujifilm GFX 50R sidesteps the full-frame debate a bit. It offers a 50MP model for a good price, Fujifilm teases a 100MP super format to come. After all, the thinking goes, isn’t the FFM trend just another manifestation of the megapixel horse race? One of my tells for how well models and formats are doing are products developed by independent lens makers. Rest assured they watch camera buying trends like hawks. For example, they had taken a wait-and-see attitude about offering lenses for mirrorless cameras. However, now that the floodgates have opened there’s no lack of options for that category. Of course, just as they fill in the gaps, full-frame/new mount mirrorless cameras come along. Will the independents continue to produce full and smaller sensor format lenses for DSLRs? They would have to assume the large installed base of buyers will continue to expand their kit. Or, more likely, they will use adapters if they switch to FFM models. Or will the independents start developing Canon R and Nikon Z mount optics? Indeed, we have already heard mention of third-party lens adapters for DSLRs to Z- and R-mount bodies; so the race has begun. Or will the L coalition start a new movement for lens/camera interchangeability, making use of cameras with mix-and-match lenses a future trend? Much like MFT lenses were crossbred for that format, will the L line be the same for full frame? E Mount, X Mount, Etc. The popularity of the Sony E mount has spurred many companies to get into the game. And this is for both APS-C and full-frame cameras. These companies include, of course, Tamron, Zeiss as well as Samyang. However, others include Voigtlander-Cosina, who added to their stock of E-mount lenses with a 21mm f/3.5, and even Venus Optics, who brought their Laowa 10–18mm f/4.5–5.6 FE to photokina dubbed as the “world’s widest zoom” for that class. Sony itself, perhaps feeling the heat from Nikon and Canon, and now the L-mount group, showed a busy lens “roadmap” for 2019. In addition, while nothing new on this front from independents, Zeiss and Rokinon/Samyang showed Fujifilm X-mount lenses. Furthermore, Fujifilm itself had two intros: the XF200mm f/2 and XF8–16mm f/2.8 zoom. Also exhibited were new entrants in the super-format arena. Indeed, camera makers are playing both sides of the fence. In Canon’s case, it might be three sides. This is witnessed by their debut of two EF mount teles, the EF 400mm f/2.8L and EF 600mm f/4L, and even the 32mm f/1.4 STM lens for the M mount. Nikon does not face this triple conundrum, as they dropped their Nikon 1 line last year. But they recently unveiled the 500mm f/5.6 E full-frame DSLR lens. I don’t envy the decisions faced by OEM and independent lens manufacturers. It is beginning to feel like a game of “who’s on first?” Consumers (and manufacturers and dealers) will certainly need a scorecard. All told, it looks like full-frame is the flavor of the month. It appears it will dominate both camera and lens news this coming year. In all, the “smaller” footprint—five halls and various passageways—and the fewer days made for a more intense and efficient experience. This was promised and delivered by the new configuration, even with close to 900 exhibitors. Moreover, the show was billed as more than a display of new cameras and lenses. A strong effort was made to encompass wider vistas for the imaging world, such as AI and VR. This was perhaps less successful than I imagine was desired and, as mentioned, didn’t draw much of a crowd. Perhaps less of a separation between the main show and this segment might be helpful. However, the booths in this segment were relatively small and couldn’t handle much of a crowd anyway. In addition, as is the custom, gallery pop-ups and exhibits were sprinkled throughout, as well in the city of Cologne. 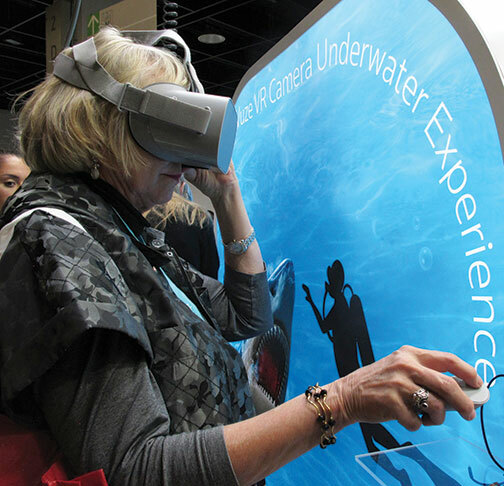 This made attendees feel immersed in the gear as well as the art and craft of imaging each and every day. While smaller and designed to draw in the public, photokina still dwarves other worldwide photo product/education show competitors. And this allows the organizers to maintain the claim to the World’s Fair of Imaging crown. Of course, one of the challenges to the show is that the next installment follows hard on the heels of this one. It will be hold May 2019—and it becomes yearly thereafter. As an imaging event, particularly a Euro-centric one, it should succeed, given the enthusiastic crowds it drew. As for a yearly trade/business show, we’ll stay tuned. But I do wish them luck.